Agerola is located at the center of a green valley about 700 meters above sea level and has a panoramic lookout over the sea and a series of breathtaking landscapes throughout its territory. The feeling you get being in Agerola is to be completely surrounded by lush greenery and breathtaking views, especially if you look towards the sea. It is the oldest town on the Amalfi Coast and has previously been part of the Maritime Republic of Amalfi. In Roman times the area was full of "residential villas" mainly in the plain and is suppose to be largely inhabited given the prime location. Stay in Agerola and visit it for a few days, relaxes the mind and relieves the stress of hectic life today. 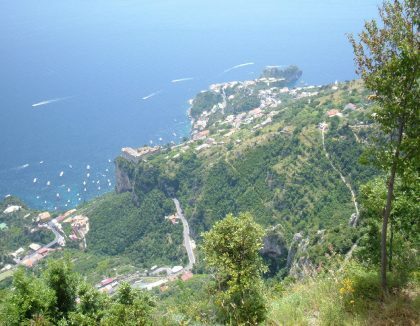 The Amalfi coast is made of beautiful and picturesque villages. And of mixtures of cultures. Small hidden treasures and monuments. Of lemon groves and terraces. Houses and rock features, this is Agerola, treasure of the Amalfi coast, attracts for its unique landscape, that is often compared to the Alps, full of chestnut woods, meadows and orchards. The mild climate, cool and acceptable even in high summer, is mitigated by the proximity of the coast, making your stay pleasant, making tourism one of the country's economic resources. Unquestionable protagonist is the magic of his starry sky of Summer, is something to see, a thrill to be missed! Agerola is situated in a strategic position: set on a hill, however, is close to all places of interest (Pompeii, Vesuvius, Herculaneum, Naples, Amalfi Coast ...), also reachable by bus. The path of the Gods and the caves of Santa Barbara. From the square of Bomerano it leads to Positano and includes the "Biscuit Cave". 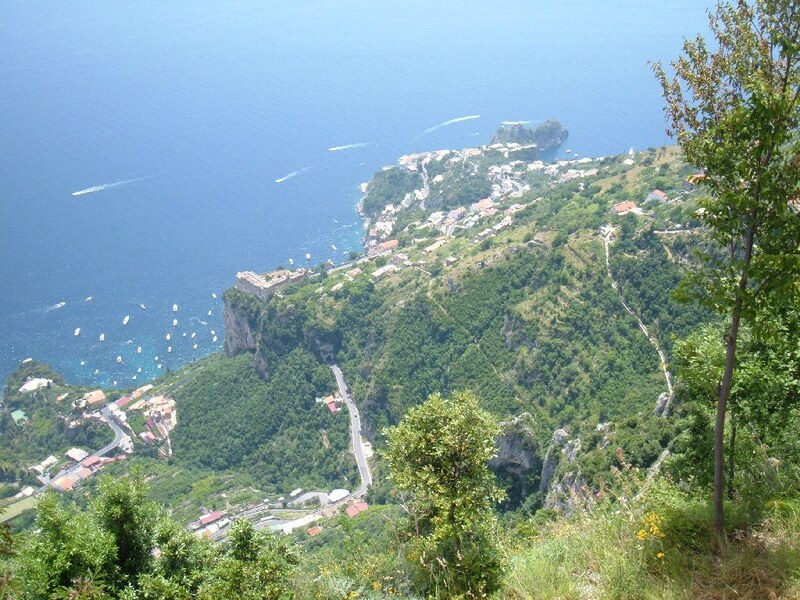 where you can enjoy a 360 degree view of Agerola and the Amalfi Coast. From the square of Bomerano take the trail to the cave of Santa Barbara and after passing under the cave you can see the ruins of an ancient church of the eleventh century AD, then turn right to cross the riverbed Praia . The ancient path through the coastal countries of Praiano and Vettica Maggiore, going down finally on the coast. Provolone del Monaco which is a cheese made from cow's milk processing Agerolese. The name comes from the cape that the shepherds wore to ward off the cold on the way from the hills of Vico Equense in Naples, the main market for their products it is produced from about 1700. Since 2010 the Provolone del Monaco gets the Protected Designation of Origin (PDO) at European level with EU Regulation 121/2010.